With safe working loads from 125kg to 5000kg the hard working, low wearing, reliable and easy to maintain hoist is ideal for a number of applications such as stationary, Jib cranes, GIS Crane systems and most standard set-ups. 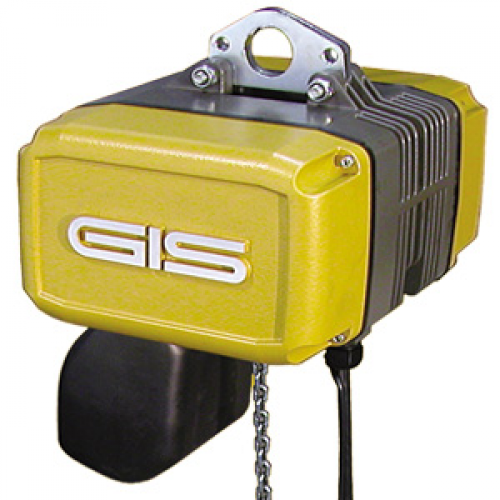 GIS's standard hoist range is suitable for most industrial applications, desgined to work in the most extreme of conditions, capacities from 125kg to 5000kg. 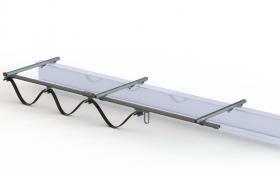 Hoist unit body and end covers manufactured from die cast aluminium. Featuring a reliable, low wear and easy to maintain design. 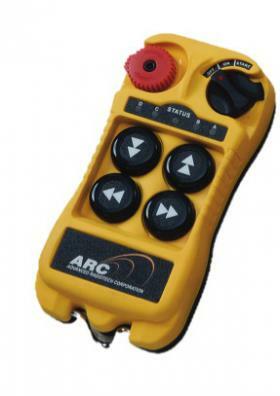 Can be used in conjunction with jib cranes, overhead travelling cranes and beam trolleys. Entertainment hoists are most popular among the GIS range, featuring double braking systems and extra safety features to conform to industry safety regulations. Quiet operation makes GIS entertainment hoists a winner for many of our customers that require quieter operation in tight applications. Market requirements of a hoist suitable for the food industry have now been filled with a reasonably priced 'food grade' electric chain hoist from GIS. Well suited for food or pharmaceutical production industries this GIS food grade hoist features stainless steel components to ensure the hoist remains as sterile as possible. 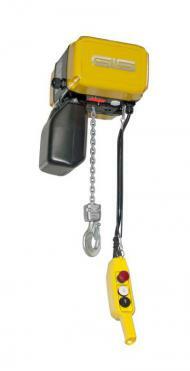 In fuel processing plants and other hazardous industries requirements for Atex grade powered hoists are increasing, our range of GIS explosion proof hoists fulfills this requirement to the required standard (eg. EX zone 2). 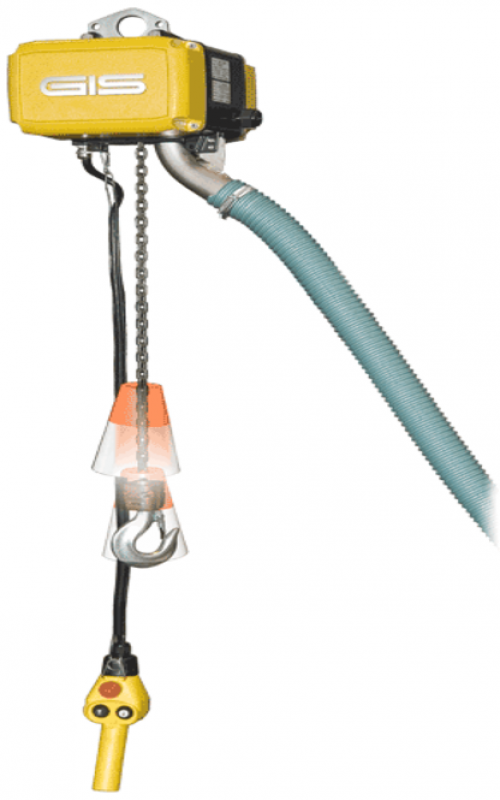 With renewable energy on the rise wind turbine farms are being developed frequently, maintenance on the turbines can sometimes require an electric chain hoist. The GIS wind turbine hoist features a small body to suit confined dimensions, featuring standard lifting heights up to 120m, fast lifting speeds and a built in overload clutch ensure that guarantees a safe and efficient operation.